Our classic slim-line pocket diary is an excellent promotional item. 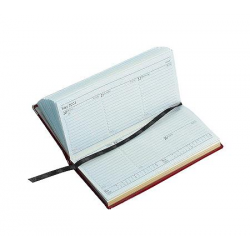 They are perfect for recording appointments and jotting down notes, and are portable so will be potentially seen by many eyes. Furthermore, branded promotional pocket diaries present a professional image for your business, associating it with organisation and activity. These items can be branded by screen print or foil-stamping. Take a look at specifications below.